This cocktail is my gift to you. Feel free to do with it what you like. Make it for someone you love, after a romatic home cooked meal. Mix it up for your lips, and your lips alone, curled up with a book. Pass it on to an old drinking buddy, or that new special somebody. Share it with your best friends, or even random Facebook friends. 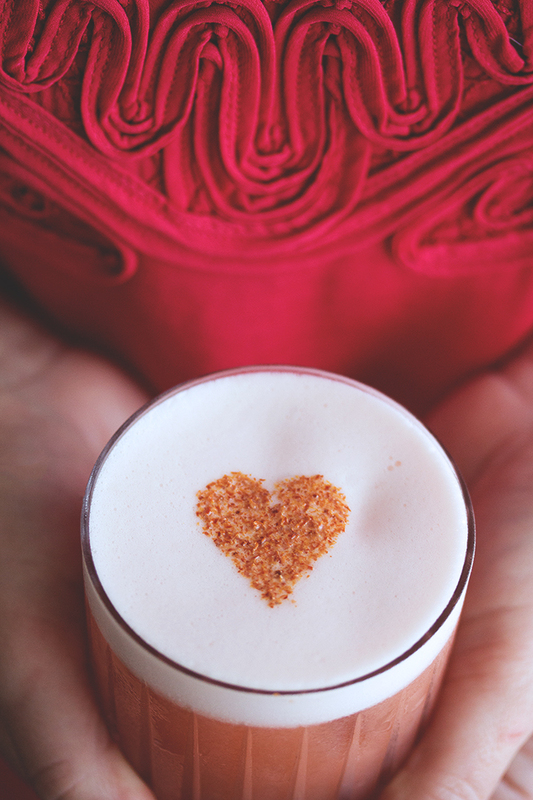 Because whether or not you celebrate Valentines day, one thing’s for sure, February 14th is a great day for a cocktail. 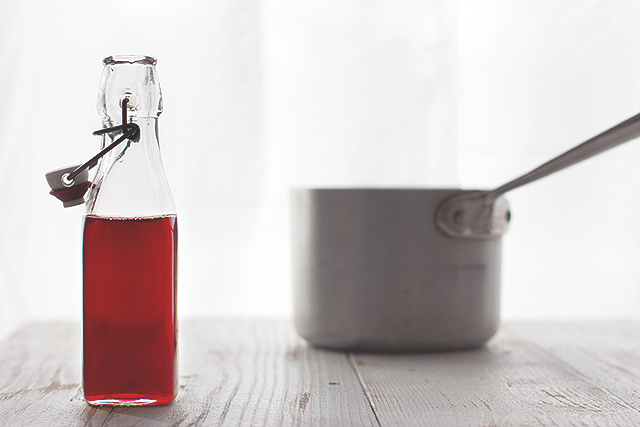 Add pomegranate juice, sugar, and pomegranate molasses into a small saucepan over very low heat. 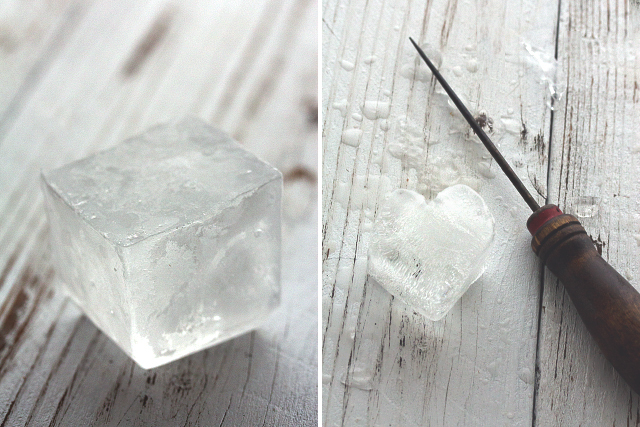 Stir continuously until sugar dissolves, immediately remove from heat and let cool. Set aside. 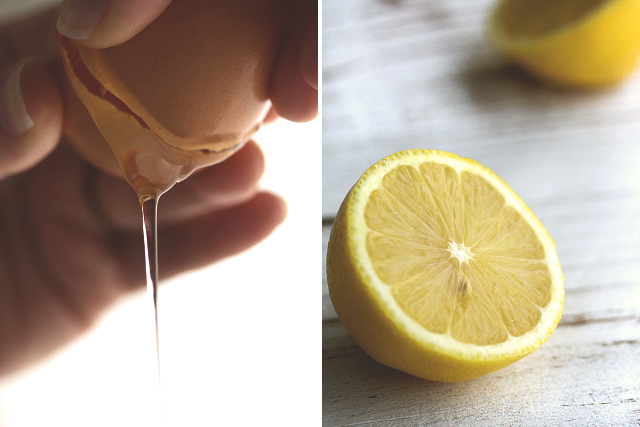 Add the egg white and the lemon juice to your shaker. 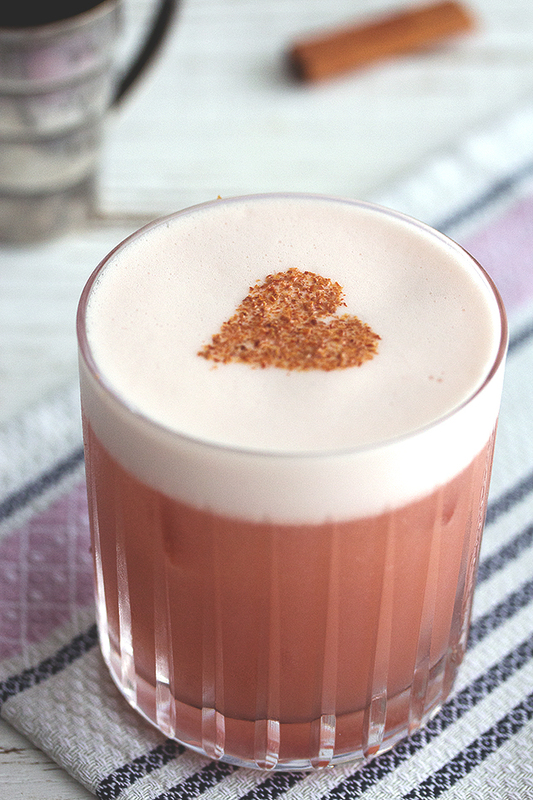 When making cocktails that contain egg whites it's always good practice to add the egg whites first. That way, if a little yolk accidentally falls in, you can start over without wasting the other ingredients. 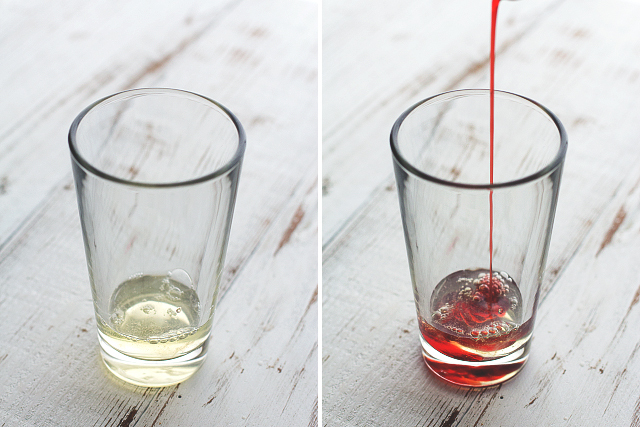 Add your homemade grenadine, Aperol, Amaro Montenegro, and gin. Then dry-shake (shake without ice) for 10 full seconds. 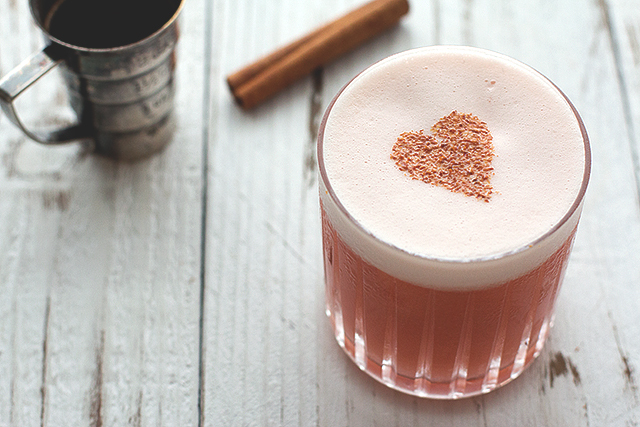 This helps the egg white become super frothy, adding to the creamy texture of the drink. Briefly set aside. 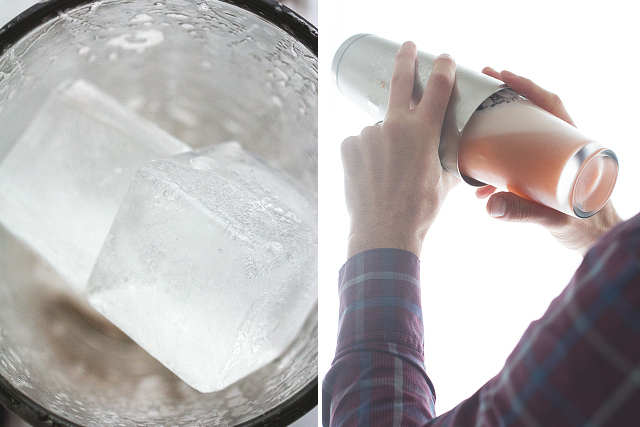 Add ice to a standard old fashioned glass. 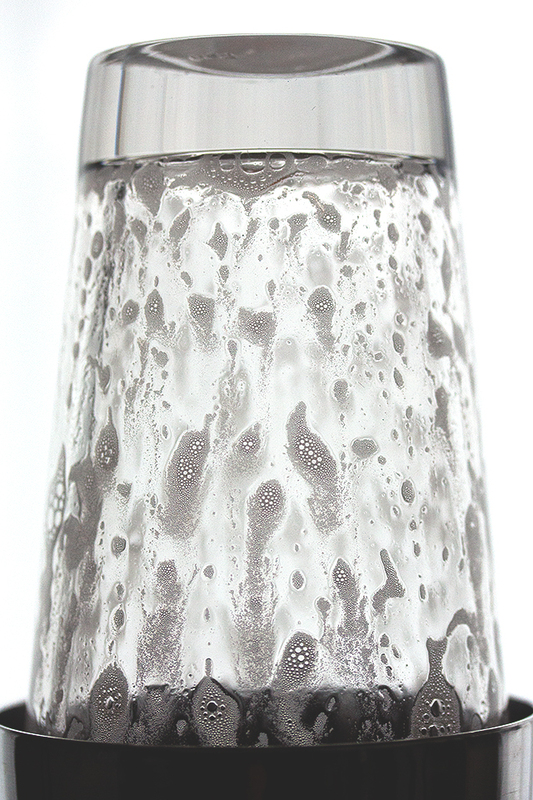 Once your glass is prepped, fill your shaker with ice and shake vigorously for a full 30 seconds. 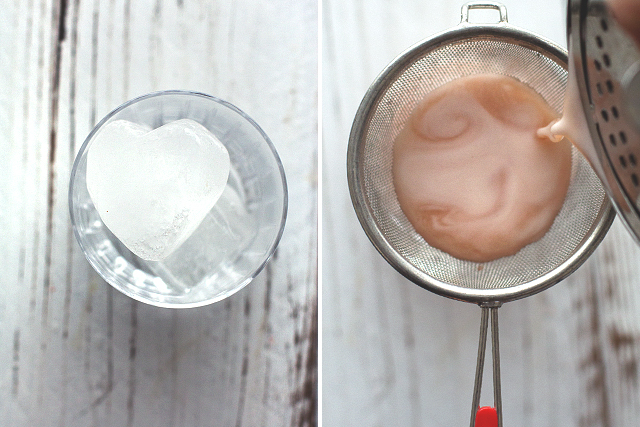 Double strain over ice into your old fashioned glass. At this point the cocktail is complete. 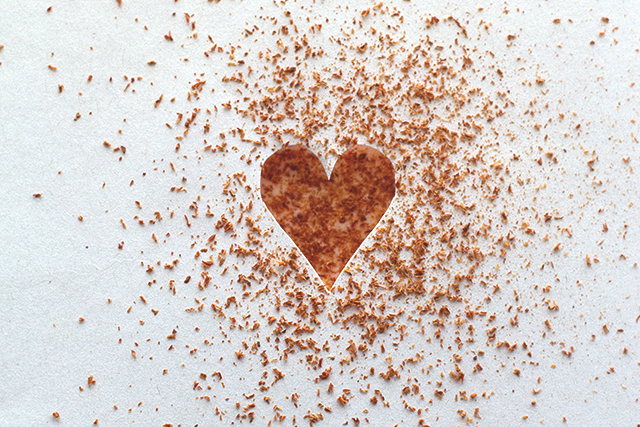 Simply garnish with freshly grated cinnamon over the cocktail, or get festive and make a heart-shaped stencil out of construction paper to use to grate your cinnamon. Hi! Just tried this with my boyfriend and it came out absolutely perfect! I made him this one, and then I added Fee Brothers original bitters and it gave the cinnamon even more power. Thanks so much, and enjoy the weekend! I will definitely try this on Valentines Day! Whyyyyyy did I just see this today?!? Dang, this looks SO good. Great recipe! Happy Valentine’s Day Todd and Karen :)! This drink looks pretty spectacular. 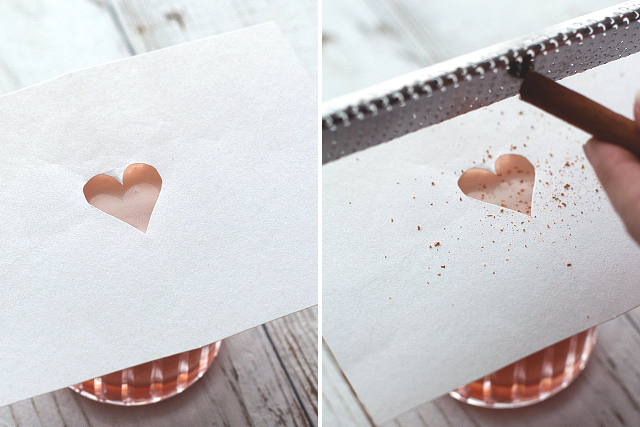 Love the heart stencil. Totally gorgeous! I may have to have one of these this weekend! What a sweet cocktail! I love the heart on top- nice touch. 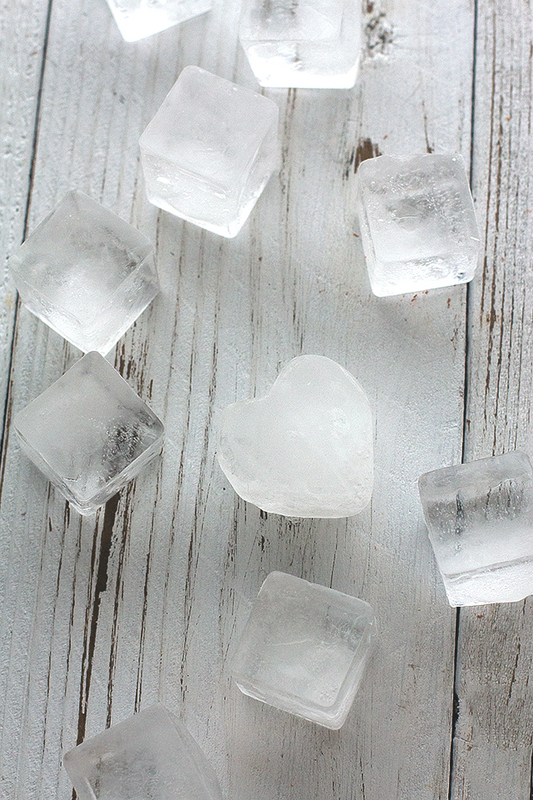 Nice work with the heart shaped ice as well! So, I can just bring this recipe into my local craft cocktail joing and ask them to do it. Right? Ok, then! This sounds and looks divine. Doooooo it Catherine!! 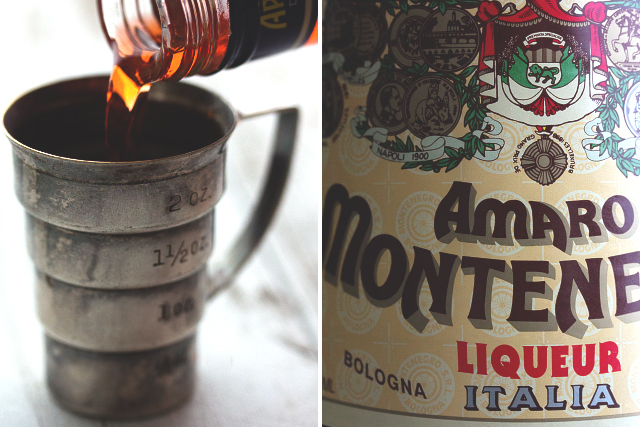 🙂 Have you tried Amaro Montenegro before? I am in awe of this drink! It is so preeeeeeeetty! 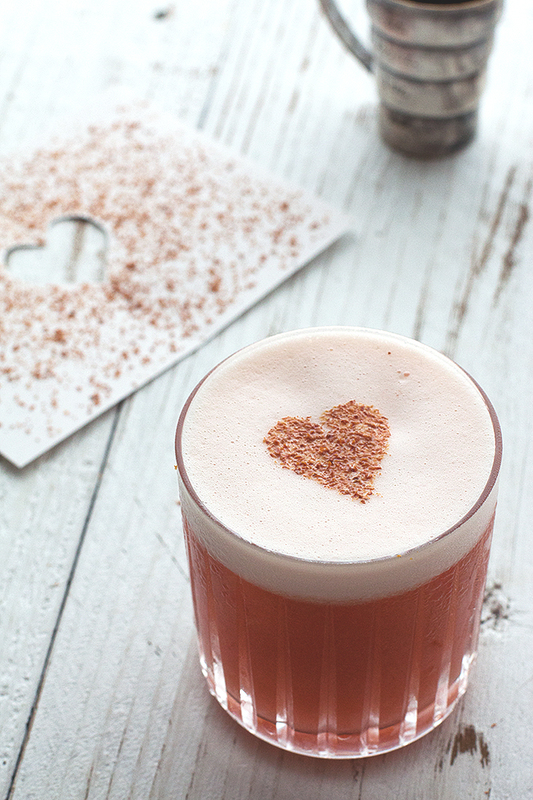 I would LOVE to have one (or 3) of these tomorrow with my Valentine! This cocktail is SO up my ally! And such gorgeous pictures, I’m just in awe. Wow, thank you SO much Nicole!! I love it…..such a romantic presentation. Thank you Supal!! So happy you’re digging the drinks. 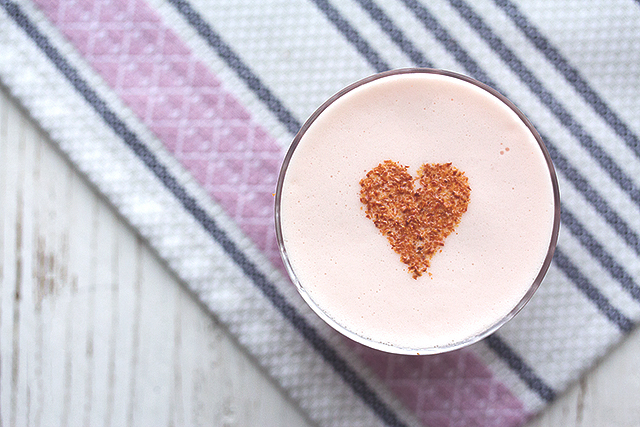 Heart-Shaped Brunch – Homey Oh My! 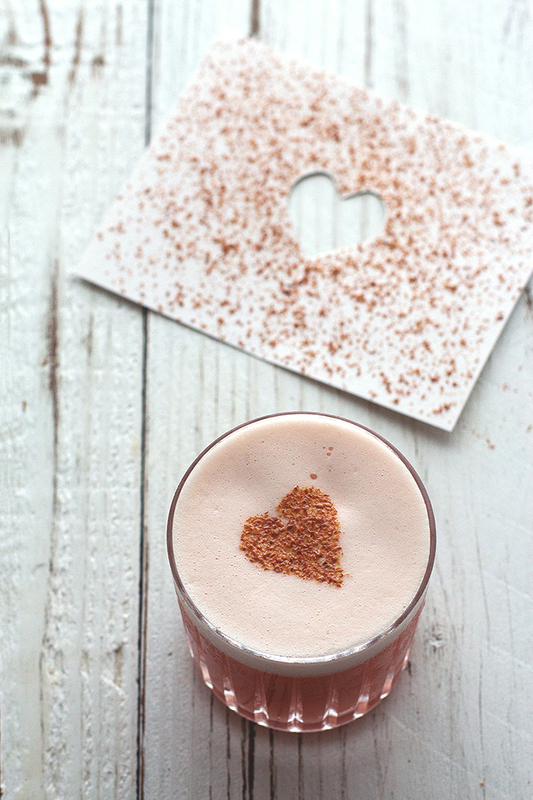 Off the Cuff / The Secret Ingredients to Your Best Valentine’s Party Yet!